PMags.com is a site that has been around ‘officially’ since 2006. A previous iteration of this site was up in 2004 as Magnanti.com. And I had a basic site hosted on Backcountry.net as early as 2001. In short, I’ve had a website up in one form or another for over fifteen years. An eternity in the online world. And I’ve had a variation of the pmags@xyzdomain.com email since 1996 as well. What is this site about exactly? My site was initially stood up to collect my thru-hike journals and to document my then new life in Colorado. I gradually started adding practical advice on such topics on stoves. 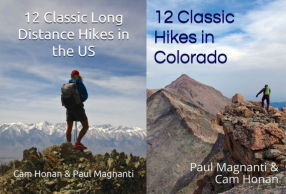 And to gather some of my favorite backpacking loops for the friends who were emailing me. 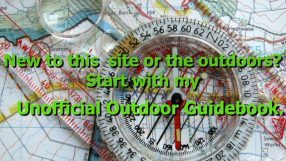 And the website was an excellent way to post beginner friendly documents for trips I used to lead with a local outdoor group. 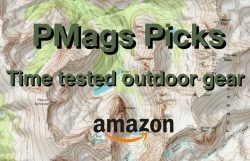 I waxed a little more poetic on outdoor topics that were of interest to me. And I even threw in the occasional recipe from family Sunday dinners. My outdoor trips, gear, and approach to the outdoors may have changed a little bit. My skill set has matured. And I write a lot more. But my overall aim is still to get out as much as I can and however I can. And to write about it all with an eye towards practicality, to the point with no-frills, some wry humor, and the occasional musing that I thought of while out somewhere. Or pretty much how I am in real life as well. This site is not a gear focused site. I will talk about gear from time to time. Usually in a general sense versus a specific sense. But if you are looking for a gear review on the latest pack or shelter or even constant gear reviews, you are on the wrong website. My gear reviews tend to be about surplus equipment I find interesting, something from the thrift store, or even from Costco. I don’t collect gear any more than my father or grandfather collected tools for their trades. And I don’t recall which knife Grandma used to make the Sunday Gravy. I’ll occasionally swap in a new item or try something out from time to time, but it has to be something I need or truly piques my interest at this point in my life. This site is also not about the outdoors as a lifestyle. There is not much call for a seeing a short, bald, guy in his early 40s on Instagram. So I just write about the outdoors itself. If any of this blathering sounds of interest, then welcome! If not, well, there’s a reason why Baskin Robins makes 31 flavors. It would be a boring world if we all liked the same flavor!